Do you feel your upper arms are too saggy? Do you feel awkward waving a hello or goodbye? 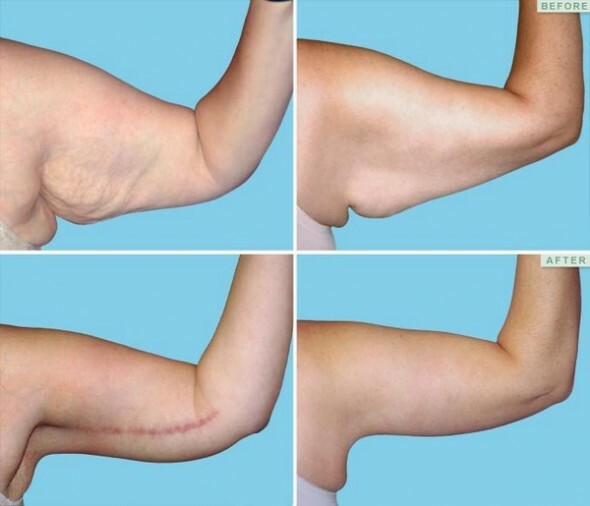 If you are among those who spend many hours a day in the gym trying to tone up your lose hanging arm muscles but have found all the effort to no avail, Brachioplasty or arm lift surgery is the right procedure for you. Here are some frequently asked questions about arm lift in India and arm lift in general. How much does an arm lift cost in India? The cost of arm lift surgery in India is much cheaper than the cost of Brachioplasty in the West. The cost of arm lift surgery in India starts from as less as $2600 and ranges up to $3600 excluding taxes. This is almost a fifth of the cost of arm lift in the West. 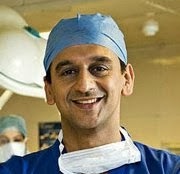 Brachioplasty in the UK costs as much as £5000 and about $ 15,000 in the US. Mind you, low cost does not mean that there is any compromise with the quality of care or the treatment. India has few of the best plastic surgeons in the world who are renowned for their skills and expertise. Why is the cost of plastic surgery in India so less? Is there a catch? No, there is no catch. The cost of plastic surgery in India is much less because of two reasons. One, because of the low cost of the endowment and second, because of the favorable exchange rate. 1 USD equals approximately 67 Indian Rupees and 1 Pound is around 80 Indian Rupees. The exchange rate makes the cost of plastic surgery in India. How long would I need to stay for my plastic surgery in India? You would need one to two days for your pre-anesthesia checkup and consultations with the surgeon, physician and the anesthetist. We want to make sure that you are fit for general anesthesia. You would need 2-3 days at the hospital to make sure you are under medical supervision during the acute recovery period. Another week in India for initial recovery and follow-ups before you go back to your country. You thus need a total of 12-14 days in India to undergo arm lift, recover and go back to your country. Which is the best hospital for plastic surgery in India? IndiCure has an association with few of the best hospital for plastic surgery in India. They have not only the state of the art infrastructure and all the necessary facilities for international patients, they offer personalized care and attention to the patients. What about my stay after I am released from the hospital? We have an association with good hotels and guest houses close to the hospitals where we can arrange your stay at discounted rates. We can give you plenty of options to choose from depending on your budget and preference. How do I find my way to the hospital on reaching India? You would not have to find your way to the hospital. One of our team members shall be present at the airport to receive you and bring you to the hospital/ hotel according to the pre-decided treatment plant. How do I begin to have my plastic surgery in India? It is very simple and easy to have your plastic surgery arranged in India with IndiCure. All you have to do is fill in the plastic surgery inquiry form or send an email to info@indicure.com. You would immediately be assigned a dedicated case manager after you fill in the inquiry form. He/ she who would be your one point contact in India. He/ She would be reachable on phone, email, WhatsApp to answer your queries. They would guide you step by step on how to plan your surgery in India. What does an arm lift surgery do? With aging or due to massive weight loss, the skin of the upper arm becomes loose and flabby which can put some people in distress while wearing sleeveless clothes. Arm lift surgery or Brachioplasty is a cosmetic surgery procedure that removes excess skin and fat from the arms. The procedure helps such people get rid of fat from the upper arms to give youthful contours. 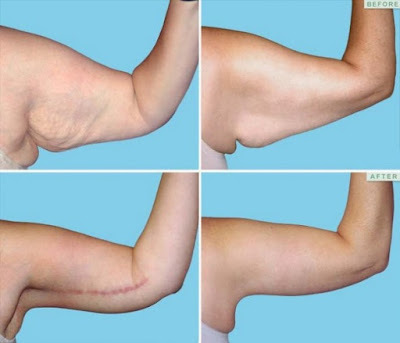 How is an arm lift surgery performed? An arm lift surgery is performed under general anesthesia. The surgery entails making an incision along the underside of the upper arm from below the elbow to an area near the underarm. The surgeon would make sure to make the incision in the least conspicuous place. The unwanted tissue, fat, and skin are removed carefully and the natural shape and contour of the arm restored. If the arms are very fatty, fat is then suctioned out with a small tube, the procedure called as liposuction. After removal of excess fat and tissue, the incisions are closed and the area bandaged. The surgeon may recommend that liposuction is done alone or in conjunction with the procedure. Who is the right candidate for the procedure? The right candidate for the surgery is the one who has excessive skin and large volume and folds of skin under the arms where the fat used to be. If the arms have excessive fat and more sculpted appearance, liposuction of the arms is a more preferred option. You can resume light sundry work within 1- 2 weeks. You would be advised not to lift heavy objects or get involved in large amounts of arm movements for 4-6 weeks. You would be advised to follow a recovery regimen including elevating the upper body and placing ice packs on the area of the incision. The results are visible about two months following the surgery with arm uplifted and the skin well toned.